Jonathan Ive may not have been Steve Jobs’s first choice for Apple’s designer, the ebooks trial takes another unexpected turn, and an Apple ad wins yet another award. 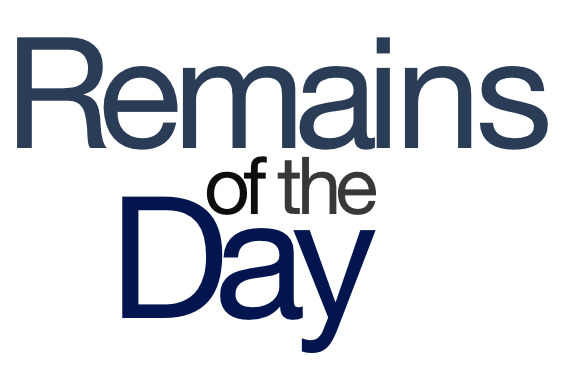 The remainders for Thursday, June 20, 2013 are being held in contempt. German industrial designer Richard Sapper—known for his work with ThinkPad laptops, Tizio lamps, and Alessi coffee makers—was offered a job by Steve Jobs. Just think: We could all be using Apple espresso machines! Remember right before the DOJ vs. Apple ebooks trial started, when the presiding judge, Denise Cote, said she expected the DOJ to win out? Maybe not so much anymore. Comments from her honor on Wednesday suggested that her mind might be changing. “I have an iPad … I love my iPad,” she said from the bench. You know, this kind of thing happens so much at public hearings that I’m starting to suspect there is a reality distortion field. Apple’s announced this year’s incarnation of Apple Camp, inviting kids age 8-12 to its retail stores to show them how to put together movies. Apple will provide all the necessary equipment if you don’t have it, including a Mac, a video camera, earphones, and a personal copy of Martin Scorsese. Don Draper would be so proud: Apple’s ad firm, TBWA\Media Arts Lab, picked up a Grand Prix award for its iPad mini print ads, which reproduced issues’ covers on their backs, cropped to fit an iPad mini. I’m just impressed that anybody picked up a magazine off the newsstand long enough to flip it over.